Huge game at Emirates. Arsenal are on hot streak. They won last 11 home premier league games. They have not lose in last 9 premier league games. They have scored 23goals in last 11 home games . It´s important game for TOP 4 finish for both teams. As it stands, Arsenal have 6 more points than Liverpool. Liverpool will miss Sterling, Sturidge, Skrtel and Gerrard. That is huge blow for them. They have lost to United last game. 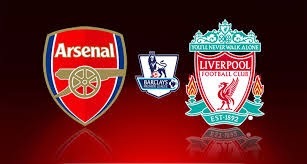 I think Arsenal wil win comfortably. Giroud is in top form and Alexis, Ozil and Welbeck played beautifully in international games and that form will be too much for Liverpool.